1. 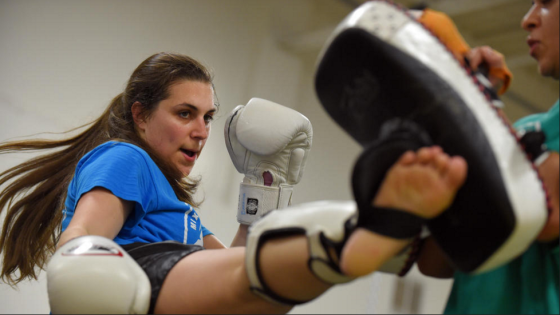 Mixed martial arts, otherwise known as mma classes are all quite popular these days. Whether you are into ground fighting, wrestling, or learning self defense, joining a mixed martial arts class is a sure fire way to get in shape and learn some new techniques. Not to mention that while working out you will gain confidence in yourself as well as muscle strength. MMA is hard work so be sure to stay hydrated and eat a healthy diet throughout the day so that you are ready to go come class time. 2. Body weight training. Using your body to train your body is a great way to lose weight, increase muscle strength, and tone up your muscles. These types of exercises can be done in the comfort of your own home and they do not require equipment. The concept of using your body to tone and firm up your body is brilliant as the techniques can be modified to suit your ability and the cost is free. All you need is some motivation and the willingness to push yourself. Some of the best exercises that use your body weight are push ups, pull-ups, squats, lunges, and planks. Be sure to keep water nearby as you will be sure to sweat! 3. HIIT or high intensive interval training is very popular these days. Have you ever heard someone say that their fitness routine is so boring that they dread doing it? HIIT was created so that there is not a chance for you to become bored while working out. This workout will take around 20 to 30 minutes per session and consists of repeated short but tough workouts. For example, a typical workout would consist of 45 seconds of squats with a few seconds of rest, followed by 45 seconds of burpees followed by a few seconds of rest and so on. Intervals are known to get your heart rate up and your metabolism racing. 4. Group training. Barre classes and fitness centers like OrangeTheory are opening up all over the world. Group fitness training is very popular because it allows people to come together and achieve a common goal. 5. Yoga. Whether you choose to practice bikram or restorative yoga, people are loving the mind, body, and soul aspect of this fitness routine. Yoga encourages you to seek within yourself to find strength to complete poses and allows you time to reflect on life. Yoga is simply beautiful but it is certainly not easy like a walk in the park.